A tick is not an insect, but an arachnid, related to spiders. Ticks are active whenever the temperature is over 40 degrees and are rarely found over 18 inches above the ground. Ticks do not jump, fly or descend from trees. Tick bites do not hurt, and if you are bitten you probably won’t feel it. That is why it is important to check for ticks frequently during and after outdoor activities. The sooner you find and remove a tick the less likely any disease transmission will occur. Ticks feed on vertebrates, everything from reptiles to birds or humans. In the New York Tri-State area the ticks of most concern are the Deer tick, Wood tick and Dog tick. They usually have a preferred host, i.e. Wood ticks and the Dog tick prefer dogs but will feed on another host if dogs are not available. Ticks will also feed on different types of hosts during different stages of development, i.e. Deer ticks start out on deer mice then move to larger vertebrates like deer or humans. Research on tick control is ongoing. Workers have shown that by using registered insecticides at the proper time, tick contact may be greatly reduced. Treating with an insecticide does not guarantee that no ticks will be present. People still need to dress appropriately and use repellants when in potentially tick-infested areas, and check regularly for the presence of ticks. A bacterial infection caused by an infectious tick bite. A rash, often a “bulls eye” can be the first sign of infection – it can start as a flat or raised area that slowly expands over several days. A clear area sometimes forms in the center, hence the bulls eye name. Be aware that not all infected individuals develop a rash. Other symptoms may include fatigue, headache, neck stiffness, pain or stiffness in muscles and joints, jaw discomfort, fever, swollen glands or conjunctivitis. Later stages, if left untreated can include arthritis, heart and nervous system disorders, Bells palsy, miscarriages, stillborn births, meningitis, numbness, pain etc. See your doctor immediately if you have been bitten or develop any symptoms. In 2006, 19,931 cases of Lyme disease were reported yielding a national average of 8.2 cases per 100,000 persons. In the ten states were Lyme disease is most common, the average was 30.2 cases per 100,000 persons. Symptoms range from headaches, muscle aches and malaise to high fever. Left untreated it can effect the central nervous system resulting in delirium, mental changes and even death. Rocky Mountain Spotted Fever – transmitted via American Dog tick + Rocky Mt. Wood Tick Initial signs are fever, headache and muscle pain followed by a rash. It is difficult to diagnose in the early stages and without prompt and appropriate treatment it can be fatal. Note: The information given here is brief and not meant to be a substitute for more scholarly sources. Seek additional information from your own doctor, local Health Dept., Cooperative Extension or the Center for Disease Control. Tick treatments are recommended in the spring and fall using either sprays or granular pesticides. If the property is heavily wooded, surrounded by woods or otherwise considered deer mouse habitat. These services can be provided by The Bug Runner (it is not included in service contracts but is provided at a substantial discount to contract customers). The exact cost is based on the property in question so we do need to visit for an estimate. Call or e-mail for appointments. Lawn should be mowed and edged regularly and landscaping beds cleared of weeds and leaf litter. Remove leaf litter promptly, even under the deck. The combination of leaves and shady areas makes good tick habitat. You can be bitten while sitting on your deck. Keep wood piles off the ground and away from the house. They provide cover for small rodents to nest. Stone walls can provide nesting sites as well. Those areas should be kept neat, no leaf litter or overgrown vegetation. Sprays or granular chemical treatments are appropriate. Place bird feeders away from the house and clean any debris from under the feeders that may attract small rodents. Consider installing nest boxes for owls, hawks or other birds of prey. They feed on small rodents and help reduce this source of ticks. When you find an embedded tick, carefully grasp it as close to the skin as possible with very fine tweezers and pull outward, gently but firmly. Do not use your finger or cover the tick with petroleum jelly or other substance. Squeezing or irritating the tick can cause it to introduce spirochetes or body fluids into the wound. Clean the bite area with rubbing alcohol and apply a topical antibacterial ointment. Save the tick in a jar with rubbing alcohol to be identified. Make note of the bite site and the date. Should you develop any symptoms see your doctor immediately. Pets will attract ticks and bring them into your home exposing themselves and your family to potential problems. Dogs and cats can contract and suffer with Lyme disease the same way humans do. Tick repellent should be used on all pets that go outdoors. Your veterinarian can recommend the best choice for you. Check pets regularly for ticks, remove promptly. Treat and maintain your property as recommended to help prevent exposure while at home. 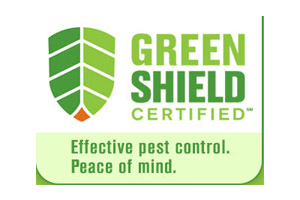 See our Helpful Hints Page for additional non-chemical suggestions to help control a wide range of pests.